A series of comments regarding China’s economic policy. China is a nation that has long tantalized the Western economies and political leaders by the sheer size of its population. The West drools over the prospect of being able to sell goods and services to the Chinese population. That drool blinds the West to the self-interest of the Chinese leadership. That is, China will only buy from the West until it either steals or copies technology that enables the Chinese to sell to their own people. The Chinese market is the proverbial carrot on a stick held in front of a Western donkey to entice the donkey to pull the Chinese cart. But the donkey never gets the carrot. The Chinese leaders know full well that their own self interest is best served by providing for its own people. It must continue to control its population. Economic freedom begets political freedom. China will only buy from the West as long as it suits them. When it no longer does various rules, regulations, laws, partnership requirements, outright theft of trade secrets and technology, and any other useful methodology will be employed to deter and defer Western benefits. The West will forever remain outside the fence looking longingly at a market they will never conquer. For a preview examine the experience of Western companies in Russia under Putin. This too was a large market the West drooled over. It has proven to be a chimera. Given the current Chinese weaponization of its economic might the West might well respond by ceasing to be a compliant sucker market for Chinese exports. A trade war is far preferable to a military war. A trade war with China is a weapon the West can use to bend China to the interests of the West and the global welfare. A trade war could be used to pressure China to crush the North Korean (and Iranian) nuclear threat once and for all. A trade war could be used to induce China to back off from its territorial ambitions in the China Sea. A trade war could be used to align China’s global interests with those of the West in regards to the Middle East (Syria, Iran); South America (Venezuela, Cuba) and even Africa. A self-sufficient, economically powerful China is a bull [tiger?] in a global China shop. Prostate Cancer (for which I had surgery 6 months ago) and “The Scooter Store” mechanized chairs. who end up in (a) or (b). Social Security is a massive, generational Ponzi scheme that depends on an ever growing mass of workers that either die young or young enough to ensure that benefits can be paid to those who win the longevity lottery. It is an insult to those who work with their hands and backs crafted by those who sit on their butts. letting people die – to pay for all the benefits promised. Doctors are leaving the Massachusetts single payer plan. It is a hopeless bureaucratic paper shuffle to promise a benefit that can’t be provided. It is high time we geezers take the lead in moderating our entitlements. The use of TIPs as an inflation hedge pales beside high quality, dividend stocks as suggested by the S&P Dividend Aristocrats. Combine those with an investment grade bond fund or individual bonds and manage the allocation between 25/75 (bond/equity) to 75/25 (bond equity) depending on your economic outlook. Mr. Wasik’s suggestion to be flexible is about the only useful point to this article. If you can’t determine a retirement budget (replacement rate / cost of living) how did you ever figure out a pre-retirement budget? much, we have too much debt and we must cut back in order to enable our children and grandchildren to have a chance to grow the economy. That would be the best thing we can do in our retirement. Social Security: Welfare or Earned? In 2010 President Obama’s Deficit Commission (ODC) announced some findings regarding, among other areas, Social Security. The result of all this political brain power are proposals to raise the full retirement age (again), raise the income subject to taxation (again), raise the minimum benefit amount (again), add (more) means testing, lower the cost of living adjustment (by changing how it is calculated) and enact a variety of bureaucratic administrative changes. Their combined efforts amount to little more than rough tweaking and kicking the SSA can down the road another 50 years. So they say. Given the obvious failure of the 1983 Greenspan Social Security Commission whose “solutions” didn’t even last 30 years it is highly unlikely that the ODC proposals will make it that far if they even see the legal light of day. Missing from the political discussions of Social Security (SSA) is any description of the of actual program versus the rhetoric used to describe the program. Rhetoric from opponents of SSA claim individuals could obtain higher retirement benefits if they invested their own social security taxes and that SSA bankrupts the young to support the old. Rhetoric from supporters of SSA claim it is good social policy with descriptions ranging from insurance against senior poverty to wholly earned benefits. Neither side provides even a basic understanding of the actual SSA program. Instead they are content with tossing rhetorical fire bombs left and right. To examine today’s SSA program in operation it is useful to determine how initial benefits payments related to the SSA taxes paid in to the system over a theoretical working career. If taxes paid amounted to less than benefits received then the recipient would be receiving some portion of welfare in their SSA benefits. If taxes paid were more than the benefits received then those individuals would, in effect, be subsidizing the benefits of the welfare group. One could certainly consider that subsidy as an ongoing “tax” paid by those, usually higher income, workers. Chart #1 depicts the initial maximum SSA benefit provided in the year of retirement versus the level of benefit provided by the assumed SSA Earned Annuity. The earned annuity is a fixed payment lasting for 22 years and is dependent on the amount of SSA taxes paid. The higher the tax paid the higher the initial annuity. Thus the annuity beginning in 2007 is much higher than the annuity in 1987. And so were the SSA taxes. The initial SSA benefit assumes the maximum benefit payout in the year of retirement. While there was a flattening of this curve from 2002-2004 it otherwise is rising each year. The key point in this chart is the difference between the two curves. 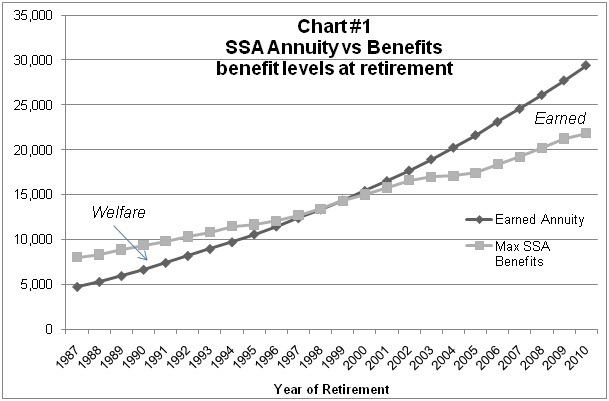 From 1987 through about 1998 the maximum SSA benefit was far above the assumed earned annuity. The difference represents a welfare payment to the benefit recipient. In later years, starting about 2000 the earned annuity rose above the initial maximum SSA benefit. The difference this time represents earned income that is taxed away. Using data from the SSA website I created a spreadsheet that links maximum tax payments with maximum SSA benefits over the period 1937 through 2010. For its own reasons the SSA website assumes a 40 year working career. Thus someone retiring at the end of 1976 who worked the full 40 years and who paid in the maximum amount of taxation each year would have paid a total of $6,962 in SSA taxes. Their employer would have paid the same amount. Upon retirement at the end of 1976 this worker would be eligible to receive an SSA benefit of $3,427 per year. In just under two years this worker would have received back every dime they paid in SSA taxes. And this assumes the worker retires with reduced benefits at age 62. That same worker retiring at 65 would receive $4,368 per year if a man and $4,546 per year if a woman. [There is a period from 1962 through 1977 when women aged 65 received a larger maximum SSA payment than men. It was 1962 through 1974 for women aged 62.] A woman retiring at 65 in 1976 would receive her entire SSA contributions back in just under 1 ½ years. A man would receive his back in just over 1 ½ years. But each would continue to receive those payments, along with inflation adjustments for the rest of their lives. Was that benefit earned or is it welfare? Reasonable arguments regarding the earned versus welfare aspect of SSA benefits can be made on three grounds: (1) employer contributions are not included; (2) prospective earnings on the SSA contributions are not included; and, as always, (3) the situation is different now. Fair enough. Employer Contributions: as a small business owner and employer, if I was not required to pay SSA taxes based on employee wages that money would not accrue to my employees. This is after all a tax on my status as an employer. If I had partners or utilized sub-contractors no SSA tax would be charged. Certainly some of that tax might find its way to the employees for competitive reasons but it is highly unlikely that all of it would accrue to them. More importantly that tax is no more the employee’s money than the income tax, property tax, unemployment tax or worker’s compensation tax. However, there is a substantial argument regarding the employer portion of SSA taxes. That money provides a revenue stream to the government be used for the other benefits (disability, spouse, etc.) currently provided by SSA. Earnings on Contributions: this argument could turn either way depending on the investment return being assumed. It may or may not be sufficient to cover a retirees SSA benefits. There is a myth that individuals could have earned a far better return on their SSA tax than is implied by the benefits paid. Maybe, but not very likely. Consider that as long term retirement savings it is not reasonable to assume that individuals would be able to invest their SSA taxes in the stock market (or any other market). No rational person wants the government to do so and politics argues against letting individuals do so on their own behalf. If individual investors or markets temporarily failed it could result in a massive taxpayer cost for outright welfare support during retirement. (Politics would require a bailout whether I agree or not.) That would be a prime example of public risk versus private gain albeit on an individual basis. There is another alterative the Retirement Certificate of Deposit (RCD). In order to estimate the earnings power of SSA taxes I assumed that individual employee SSA taxes earn the higher of 6% or the 10 year treasury bond rate and that all earnings be tax free. Accumulated contributions would be compounded annually and the rate would adjust annually depending on the then current 10 year treasury bond rate. Note that since 1968, 30 years had a 10 year treasury bond rate above 6%. This may seem rather conservative but then again, a conservative investment policy for retirement funds is wholly reasonable. As a example of how this might work we could assume all SSA taxes are held in a bank retirement certificate of deposit or RCD on behalf of each individual worker. Each year the bank accrues the current taxes and then pays the higher of 6% or the 10 year treasury bond interest rate on the total sum which is compounded annually. Note that a 6%, tax free, guaranteed rate of return provides good value compared to the 10% average historical stock market returns. Yes, government would be required to subsidize the interest rate as necessary to ensure the minimum 6% rate of return. Where might that money come from? From the employer portion of the SSA tax. On this basis our worker who retired in 1976 after 40 years work, paying SSA tax at the maximum rate and receiving the aforementioned return on those taxes would accumulate a total of $14,439 of which $6,962 was actual taxes. At the maximum SSA benefit level of $3427 per year at age 62 the payback takes just under 4 ¼ years. At $5069 for women age 65 the payback takes just over 3 years 2 months. But the payments continue, with partial inflation adjustments for the rest of their lives. Since SSA uses a life expectancy of 22 years that means roughly 18-19 years of welfare payments for the 1976 retiree. It’s Different Now: yes, actually it is different now but not all that much. It was earlier noted that the employer portion of SSA taxes is unlikely to accrue to the individual employee. Either because the employer would retain all or a portion of them or the government would utilize that revenue stream for other purposes. And, in all likelihood that’s exactly what would happen. So only the individual portion of SSA tax could be invested in a bank RCD on behalf of each individual while the employer portion of the tax would be retained by the government. It would be used for such purposes as: (a) subsidize the 6% retirement earnings as necessary; (b) provide for the disabled; (c) provide for non-working spouses or other individuals; and (d) pay existing retirees their benefits. Note that items (b), (c) and (d) are existing SSA programs. Good arguments can be made to shift all or some of those existing programs to general welfare as a more appropriate funding source but that’s another issue. It is reasonable then to only look at the individual portion of SSA taxes versus benefits to determine how much welfare – if any – exists in the program today. An individual retiring at the end of 2009 (the first of the baby boomers) after working 40 years and who paid the maximum amount of SSA taxes would have paid in $115,800. If we assume the 6% RCD earnings scheme noted above the taxes plus earnings would amount to a combined total of $333,826. Continuing the 6% earnings scheme through retirement and assuming a life expectancy of 22 years that amount provides an annual annuity of $27,723. But only for 22 years. And no inflation adjustment either. However, an individual with that work history who retires at age 62 at the end of 2009 would today be awarded an SSA benefit of only $21,228 per year. Thus today’s baby boomer retiree would be forgoing earned benefits of $6,495 per year (reduced by any future inflation adjustment). However, if that worker were married their spousal benefits would be $10,614 or $4,119 in net unearned – welfare – benefits. Of course that would be reduced by the work history and SSA taxes of the spouse. 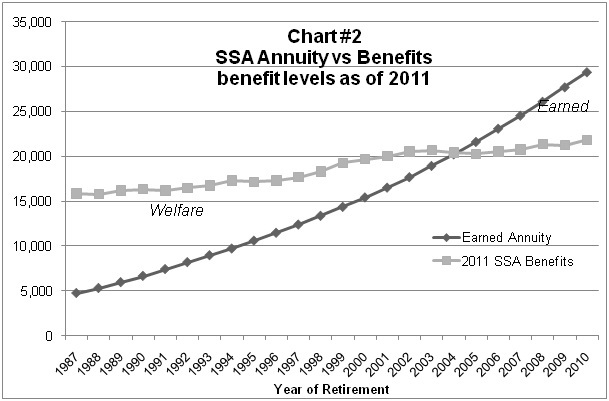 Chart #2 is similar to Chart #1 except that it shows the SSA benefits as of the beginning of 2011 instead of the initial maximum at retirement. While the earned annuity curve has not changed the series of cost of living adjustments (COLA) has raised the SSA benefit level well above the annuity curve until the year 2004. Retirees from 2004 to the present who paid the maximum SSA tax and who could receive the earned annuity amount are actually receiving less from SSA than they would from the assumed annuity. More recent retirees are receiving considerably less. Again, this represents a tax on high earning retirees. If instead this boomer retires at the end of 2009 at age 65 their SSA benefit would be $26,064 or $1,659 below their “earned” amount. Of course spousal benefits would raise the total accordingly well above the “earned” amount depending on the spouse’s work history. The significant point is that while SSA Welfare isn’t as substantial for boomers as it is for WWII’ers even today’s boomer retirees could receive major welfare payments (if married) in the guise of SSA benefits. Single retirees however, end up subsidizing others. So, yes it is different today but only in degree. Millennials: How will it be tomorrow for today’s millennials? Well, the bottom line is that since 1999 high earners (if single) began receiving less in SSA benefits than they would by investing and annuitizing their own tax payments. This trend will only be exacerbated as full retirement age is increased, as income levels are raised and as the tax rate inevitably increases. The trend then is for the upper earner millennial to become more and more a subsidizer of lower income earners. At some point in the future even the addition of spousal benefits may not shift a high earner into a welfare recipient. This can only be considered as a stealth tax on high earning millennials above the federal income tax and hidden from view by bureaucratic dictate. What is important to take away from this exercise is that whatever the rhetoric, social security was clearly designed in the form of a massive Ponzi scheme that required an ever larger number of workers to support current retirees. When that quickly became impractical the tax rates and income levels were raised in lieu of additional workers. Indeed, were it not for those who die before receiving benefits or who die early after receiving benefits (thus cheating their families out of their tax payments) the SSA program would have long since imploded. Adding fiscal injury to monetary insult one Congress after another purchased votes by raising benefits, expanding eligibility, and adding inflation protections. Again the total cost as well as tax rates and income levels rose dramatically. 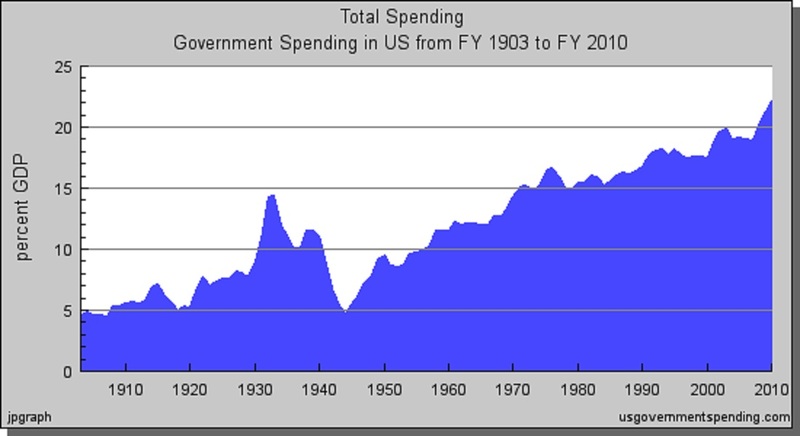 From an original 1% tax on the first $3000 of wages in 1937 (over $45,000 in current dollars) the cost has risen twelve fold to a 6.2% tax on $106,800 (and rising) of wages. The worst of both worlds. 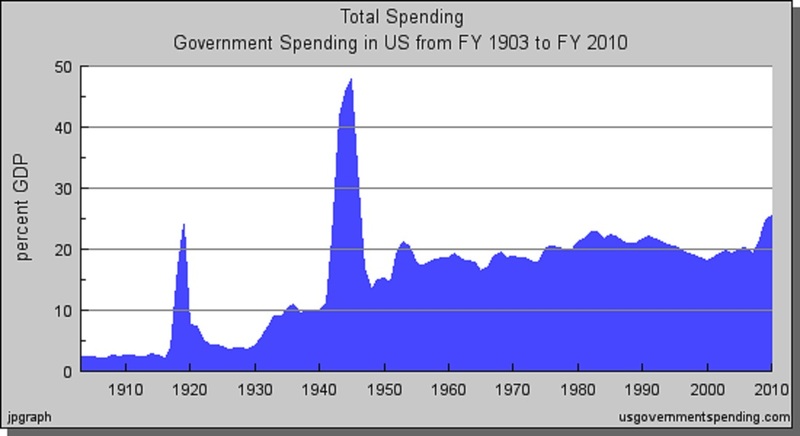 Regrettably as the 1983 Greenspan Social Security Commission did so does the Obama Deficit Commission. Both simply tweak the system and kick the SSA can down the road. There is no discussion of the inherent structural flaw of the SSA program. By continuing the dishonest assumption that SSA benefits are somehow fully “earned” workers (and non-workers) continue to expect to receive those benefits. Yet even today a high earner with a non-working spouse continues to receive unearned benefits especially as they live beyond the actuarial life span. A more honest explanation of the structural flaws in the program would provide a firm basis to propose more realistic and responsible long term solutions that might provide some financial security for individuals and their families without robbing their neighbors or their children. It’s time to trust the people with the truth. My proposal is to vest individual SSA tax payments in an RCD investment vehicle with a minimum return and taxpayer guarantee. This provides a wealth creation mechanism for the working class and ensures that future Congresses cannot borrow and spend that money and that Wall Street will never get their hands on those funds. At the same time the employer portion can provide benefits for the non-working spouse, the disabled and those who exceed their actuarial life span as well as the minimum investment subsidy. However, some SSA programs such as disability should be transferred to general welfare. Late in 2010 President Obama’s Deficit Commission disgorged their budget recommendations. The complex and difficult work under the combined wisdom of these earnest, well regarded, leaders has resulted in a series of entitlement proposals that are significant for their disregard for physical laborers, all young people and every responsible individual. Not to have seized this opportunity to revamp a failed program is a feckless and cowardly insult to hard working, responsible individuals and is most egregious to young people. Choosing to raise the taxation level, institute means testing and bump out the full retirement age could not be a bigger insult to America’s responsible citizens. No, this is just another instance of kicking the entitlement can down the road just as did the 1983 Greenspan Commission on Social Security. It too failed to correct the long term entitlement program and so will these proposals. Raising the taxation level will, under the current SSA benefit scheme merely result in larger benefits to the upper income retirees down the road. It only temporarily solves the current benefit issue and does so by creating a worse predicament in future years. Means testing seems viable but it ignores the current SSA rules that link tax payments to benefits. Further, to change the program after the fact, when upper income individuals have already paid in their full tax payments only to find their benefits arbitrarily reduced upon retirement is dishonest at best. It will achieve full disrepute not by means testing directly but by instead instituting an increased tax rate on upper income SSA benefits. The left hand will take what the right hand gives. And the always favorite scheme of bureaucratic desk warmers to bump out the retirement age, is so rife with discriminatory application one wonders how it can pass the ADA (American’s with Disability Act). Anyone who physically labors will pay a steep price in lost benefits and lost jobs as they approach their later years. Who will hire a 60 year old laborer? I propose a “6% Solution” to the current Social Security Ponzi scheme. My proposal gives individuals control over their retirement funds and retirement age. It also provides a wealth creation scheme that protects their families in the event of early death or disability. It specifically avoids giving monies to Wall Street or to the government. It utilizes existing government guarantees to protect the individual accounts along with a new scheme to provide a minimum return on their retirement funds. At the same time it provides a secondary revenue stream to government to provide funds for current retirees, those who are disabled and to provide for the minimum return on the retirement accounts. That secondary revenue stream is simply the employer’s portion of the current social security tax. My proposal will result in the “Individualization of Social Security”. This is not privatization with its Wall Street connotations. Individualization uses the existing banking system with its FDIC guarantees and is premised on typical bank Certificates of Deposit. In essence an individual’s monthly social security tax payments would be deposited in a Retirement Certificate of Deposit (RCD) in a bank of their choosing. This RCD would, to the bank, be the same as any other CD. The bank would use those funds to make loans to individuals and businesses. The RCD would receive the current FDIC protection ($250,000 at present). However, the RCD may not be cashed or used as collateral. It is strictly intended to provide retirement benefits. The new minimum return scheme is to ensure that every individual is able to earn a minimum 6% return on their RCD. This is necessary because of the Federal Reserve’s repeated and ongoing action to maintain interest rates at levels that provide little or no interest income. The basic idea is that the bank will pay the RCD interest at the higher of 6% or the current 10 year treasury note rate. The government will guarantee the bank the difference between 6% and the current 10 year treasury note. This difference is currently about 3.35% owing to the Federal Reserve’s monetary policies. The money to provide this subsidy is obtained from the secondary revenue stream. Of course if the Federal Reserve would raise interest rates to more normal levels the subsidy would all but disappear. There would need to be a transition of course for those who have been in the workforce for some time but who are still distant from retirement age. Such a transition could be accomplished by a transfer of the existing Treasury notes or notes in the social security trust fund to each individual according to their own individual work history. Each bank can redeem those treasury notes/notes for capital from the Federal Reserve. In this way the individual retirement CD accounts, the RCD’s, can be funded. This not a perfect scheme and likely has serious flaws. However, it is an attempt to put each working individual in charge of their retirement. At the same time it removes government from direct responsibility while leaving government (e.g., taxpayers) liable to protect and guarantee the retirement accounts. By limiting the accounts to an RCD as opposed to stocks or bonds the taxpayer guarantee is likely to have limited exposure. There are three principal benefits to this scheme. charge each individual worker with responsibility for their own retirement by giving them direct ownership of their retirement account. remove the workers retirement funds from government control thus eliminating the resulting spending of those funds by the government and limiting government control over individuals retirement choices. ensure workers retirement funds are isolated from Wall Street and in exchange provide guaranteed minimum returns and security of the accounts. My interests (as with many people) lie in the political, economic, financial and investment worlds but like most folks I dip into other worlds such as medicine, environment, education and social policy as I meander down life’s paths. And as I peek into those side worlds and stare at my intrinsic worlds I am confident that this issue of When Experts Disagree flows into nearly (if not every) facet of our modern life. The great question is what, exactly, do we – the decided non-experts do when those experts upon whom we supposedly depend disagree? Justin Lahart accurately reports that, as recently as last year, the late Paul Samuelson dismissed F.A. Hayek’s book The Road to Serfdom as alarmist and wrong: “Sweden and its Scandinavian neighbors are among the most socialistic countries in the world, as Mr. Hayek defined them, Mr. Samuelson pointed out. ‘Where are their horror camps?’ he [Samuelson] wrote” (“The Glenn Beck Effect: Hayek Has a Hit,” June 17). Indeed, do physicists even agree on the speed of light? The short answer is, at best, maybe, maybe not. From another area, Curious About Astronomy, comes another type of disagreement among experts. However, other astronomers disagree that the experiment is able to measure the speed of gravity, arguing that the effect is much smaller than the scientists claim and that (in effect) they got their arithmatic wrong when they decided that the speed of gravity did come into the equations. They are not claiming that the speed of gravity is different to that of light, just that it could not be measured in the experiment. Clearly this disagreement is at an intellectual level far beyond my capability. But, then, I’m not an expert in anything so almost every disagreement by experts is beyond my intellectual capability. The question though remains: what do I (we), as non-experts do when experts disagree – as they almost always do? Take another set of disagreements at the stratospheric intellectual level. This is the abstract for a translation of a disagreement between Albert Einstein and Walter Ritz. During 1908 and 1909 Ritz and Einstein battled over what we now call the time arrows of electrodynamics and entropy. Ritz argued that electrodynamic irreversibility was one of the roots of the second law of thermodynamics, while Einstein defended Maxwell-Lorentz electromagnetic time symmetry. Microscopic reversibility remains a cornerstone of our current paradigm, yet we are finding more and more evidence that experimentally discerned time arrows are asymmetrical and that they all point from past to future. This paper furnishes some comments about events leading up to the Ritz-Einstein confrontation, some subsequent developments, and an English translation of their agreement to disagree. A side by side comparison of two recent summaries of their battle communiques is included to provide an overview of what they had to say about this current issue. In matters of scientific fact we may – and most assuredly I emphasize MAY – allow scientists to conduct their experiments to discover the facts of a situation. But what happens when the science community cannot experiment but can only create models they think mirror reality? This is precisely the circumstance in the arguments regarding global warming. Or, more specifically, anthropogenic global warming (AGW), warming caused exclusively by the acts of man. The facts cannot be determined by experiment. The various scientific camps create computer models and argue about the models and the input data and it all has taken on the slimy sheen of a political argument, not a scientific one. What would we do if our lives were dependent on deciding which of these experts, these intellectual giants was correct? Or even which was more correct? How would we decide? What would be the basis of our decision? Ultimately, might one even be so arrogant as to ask why even consult the experts? For if they ultimately disagree and we are not expert yet we must make a decision then why consult them at all? How would we, on what basis would we, differentiate between the various expert camps? What do we do when our experts disagree? The editors congratulate themselves on the erstwhile success of the film industry in, “Wilmington’s film business on a roll; let’s hope it continues”. Yes, the local film industry is on a roll all right, they’re rolling away with our tax dollars. Golly, who would have thought that bribing a favored industry with a tax credit equaling 25% of its expenses would actually bring that industry to town. Amazing, simply amazing. As Claude Rains famously remarked, “I’m shocked, shocked …”! And as the film industry responds to these tax credit bribes the surprised editors shout with “Glee” or is it just glee? But economically this is “The Night of the Living Dead”. As a small business owner I’m tired of the endless pleadings for “more porridge tax credits please sir!” as if film is the only industry that needs to remain competitive. What pray tell (is prayer permitted in Willmingwood?) would the editors expect to happen if other industries received the same bribe? Would pharmaceutical companies (PPD) show up in force? What about nuclear (GE) facilities? Might some more build plants nearby? How about a 25% tax credit for specialty glass (Corning)? Would Corning manufacture their Gorilla Glass locally? Or, forsooth, would a 25% tax credit lure more cement plants (Titan)? The list is endless really. In fact, the State of North Carolina could bankrupt itself by bribing industry to locate here. We know that the film industry responds to “The Bribe” (1949). So will others. I just read your cover article regarding the “U.S. Historical Experience with Deflation” (National Economic Trends, October 2010). As you will readily ascertain I am not a credentialed economist just a street level economic person. As I read your article I was struck by several points. First, the Mark Twain story about the cat that slept on the stove came to mind. You may recall that story. A cat routinely slept on top of what was normally an unlit pot bellied stove. One day the cat jumped up on the stove and found it had been lit and was very hot. The cat learned not to sleep on the stove. The cat should have instead learned to check if the stove was lit. Is the U.S. experience with deflation analogous? Have we simply learned to avoid deflation at all costs rather than to manage an economy to avoid both excessive inflation and deflation? Is it not possible that our economy would be better overall if we accepted limited deflation as well as limited inflation? If not, why not? Has it been any easier to rein in excessive inflation than to correct excessive deflation? It is not clear to me why the rationale of reduced economic growth as a result of deflation is accurate. If deflation is a symptom of reduced growth rather than a cause the linkage is even more tenuous is it not? As a street level economic person I would not hold cash per se during deflation but would invest it so as to earn a return. Clearly a 2% deflation makes cash more “valuable” in real terms but cash invested at 3% (or 2% or 1%) provides even more value. Nor would I hold off buying items just because they might be cheaper in a year. This is of course the common argument against deflation. Indeed, if I need a car why would I wait a year? If I needed (or wanted) a new house why would I wait? Yes, it might be cheaper but 2% or 5% even? Is the “cost” of waiting a year worth some modest percentage of the value? Presumably I would receive at least that much value from the new asset else why buy it? The short answer is yes, I would buy it even if it would be cheaper a year from now. Consider please every single electronic device created over the past 30 years or more. Every single one has gone down in price year after year but people continue to buy today rather than wait a year or two or three. Where is the practice of sitting on ones cash evident? Would a business not invest today if they believed it would be profitable? As a small business owner I can assure you I would even if I knew that a new building, new equipment, new vehicles – new computers? – would be cheaper in a year. I might lose 5% or 10% of additional profits by waiting for 2% cheaper prices. That would be stupid and while I might not succeed I try real hard not to be stupid. But there’s the rub isn’t it? Business would invest if they thought it would be profitable but because they don’t think it will be profitable they don’t invest. From my perspective way down at street level the issue isn’t deflation but demand that has been pulled (yanked, jerked, dragged) forward through every imaginable type of macro-economic policy government can conceive. Now that the U.S. has reached the end of that economic gaming the worry is deflation. Yet just as I lag behind the inflation curve so too I would lag (my income that is) behind the deflation curve. Allowing prices to decline may incur some pain (possibly severe) but it would certainly clear the surplus assets faster and permit a more measured and sustainable growth to resume. The big losers will be those who benefitted from the unsustainable, inflationary economic policies. And I care about them as much as they care about me. Seriously though I understand such a policy would present a severe economic disruption but I also believe our nation and economic system is strong enough to survive. Most forests benefit, in the long term, from a forest fire. We need the economic version of a forest fire which is deflation. Second, why is a 2% inflation rate considered “price stability”? I certainly don’t consider the annual loss of 2% of my dollar value as stable. It means that every 25 years my dollar buys half what it used to buy and that assumes (wrongly I believe) that the published inflation rates are in fact accurate. It also means I must run twice as fast just to keep up with those “stable prices”. Worse, inflation rises ahead of and typically faster than my income. Consequently I am always behind that inflation curve. Government is not of course and the suspicion is that that is the actual intent. Is this the best that our Federal Reserve can do? Why wouldn’t a true zero inflation/deflation rate be better for the average worker? Would we not gain economic value through productivity gains and technological advances? Why is it necessary to devalue our currency to achieve economic growth? Mind I am not suggesting stable money supply. I recognize that as population grows the money supply must grow to accommodate that increased population. What I don’t recognize is why it must grow faster than the population. Thanks for your article. Clearly I found it quite interesting if also frustrating. I’ve not read a review of the economic history presented in this way and I appreciate the perspective. A group of individuals arrive at the shores of an assumed to be deserted land. Well, there may have been some a-priori occupants but they only have knives and the new group has guns. The earlier occupants are quickly dispatched. The new group settles onto the new land to begin an new economy. Some in the group are hunters, some are farmers. Some have a skill at turning clay into pots that store food stuffs for the long winters. Some have a skill at turning hides and furs into clothing to stay warm during those long cold winters. Others have a skill at turning trees into lumber and thence into shelter, yada yada yada, long cold winter. Some actually have little or no skill and lack the intellect to develop same, but they are able to provide value by their labors and assist the skilled individuals in their respective tasks. Early on the economy was a simple barter system. Furs for lumber, grain for leather, shelter for clay pots. Within the small group it was perfectly reasonable to maintain a book of ledgers to ensure the barter was fair (that is, bilaterally agreeable) and completed or fulfilled. Clearly the farmer may need some assistance while the crop was growing but before it was harvested. The laborer desired some record of their labors to trade for the future harvest. A record was needed to ensure such trade occurred. That barter exchange was recorded in the great ledger and the laborer was given the right to obtain some agreed upon amount of grain whence the harvest occurred. In like manner the hunter provided a fur credit to the timber person in exchange for future shelter. As the shelter was completed that barter credit was reduced. Should the shelter credit exceed the fur debit the hunter would be obliged to provide additional furs during the following hunting season. Ditto the farmer and potter and so on. Cleary one of, if not the first issue the group needed to settle was the barter level of exchange. How many furs, and of what type would be required for a shelter of some defined size. How much grain and fruit, what type, what condition, is equivalent to the farm laborer assistant for their labors. Only through much discussion, and some argument was the great barter book of ledgers (GBBL) developed. And it was never really a settled matter. As conditions and requirements varied so too did the individual barter levels between the various skill groups. It was a dynamic system, flexing with the winds of change. As the group procreates and their population grows new issues arise. New skill sets develop such as doctoring for the sick or injured. Caring for the children so others can be productive. Caring for the elderly. Maintaining the ever changing GBBL. Each of these new skills needed to be correlated with the original skills in the GBBL and again, as circumstances varied so too did the new skills values need to be adjusted. Too many individuals desiring to trade child care labor for grains and fruits reduced the value of that labor. Too many farmers and not enough hunters ensured full belly’s and cold backs. Again, the value of those individual labors and skills required constant adjustment in the GBBL. Enough the people cried. The GBBL is beyond recognition. The scribes cannot keep up with the population growth and the constant, daily variations of the barter exchange rates. We need a better system. One that permits rapid, individual adjustments on demand. So, computers were born? No, I’m kidding. Actually money was created. And so, in a massive group project the people spent one long cold winter converting the GBBL to a money system. Creating their money in one ducat denominations they laboriously converted their GBBL exchange rate to a ducat exchange rate. One that all agreed fairly represented the values of the different skills, labors and goods the community produced. But the people also understood, intuitively and literally, that the money being created must relate to the skills people possess, labors they provide and goods they create. Further, that new money can only be created in response to a new amount of goods being provided. Else the value of that money would decline and all would suffer. That is, assume the group creates 1000 ducats for the entire community economy. And that those ducats are distributed according to the skills, labors and goods based on the new money exchange rate system (MERS) which in turn was originally derived from the GBBL. Yet suppose one member (a thief working as a scribe) secretly forges another 20 ducats for their own purposes. The thief has reduced the value of everyone’s skills, labors and goods by 2%. Why? Because the thief – who provides no skills, no labors and no goods – quietly spends their 20 ducats to purchase a variety of goods and services that they would not otherwise possess. 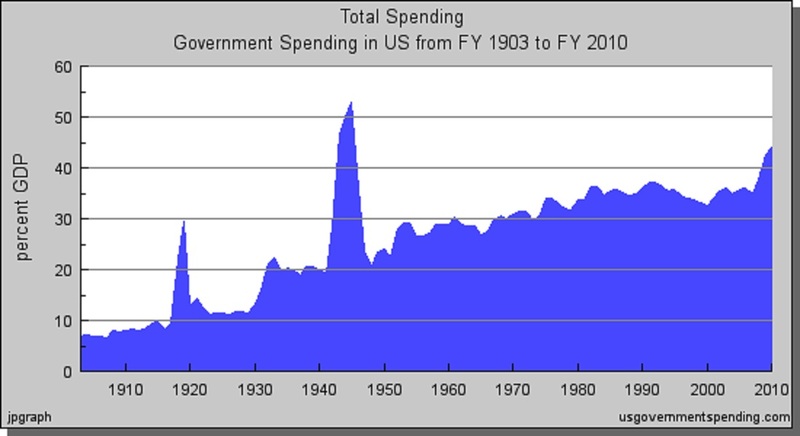 And that spending is in addition to the spending of the ducats legitimately acquired. Others in the community, desiring some of those same goods and services find a shortage and they begin to bid amongst themselves for the now scarce items raising the cost of such to equal the demand. The thief, amazed at the success of this nefarious deed, plots their next turn of fraudulent money creation. The difficulty for the group is that new money must be constantly created in response to new goods and services that are created. As a child matures to a productive adult they provide a service or create a good that did not and would not otherwise exist. To facilitate the integration of that item into the economy requires additional money creation but only in proportion to the goods and services being provided. As the new money is created the thief recognizes a marvelous, if opprobrious, opportunity. As the community creates new money in response to population growth the thief will forge a new batch as well. Indeed the thief rightly recognizes that as the money supply – along with population – grows the opportunity to quietly insert the forged ducats improves until it is hardly an issue for the thief at all. If the productive population grows at 5% per year (long cold winters, yada yada yada) it will double in some 14 years. [That assumes a population compounding; without compounding it will take about 20 years.] The economy would then have some 2000 legitimate ducats circulating due to the doubling of the productive members. The thief meanwhile continues to forge 2% each year and adjusts for the growing money supply. Over the 14 years the thief actually creates some 392 ducats or some 20% of the total money supply (392 forged/1980 legitimate)! So a simple plan to steal just 2% per year results in a 20% theft over 14 years. Indeed, if one accurately counts the money in circulation and if the thief adroitly forges new ducats right alongside the valid ducats the actual money supply becomes not 2000 (1980 mathematically) ducats but 2400 ducats (or 2372 mathematically). The purchasing power of the legitimate and productive members of the community has been methodically reduced by some 20% in just one generation. The problem for the community is that some of the other scribes have observed that one of their brethren has been curiously non-productive yet continues to acquire a marvelous supply of community goods and services. On inspection they discover the ruse and confront the thief about the forgery. The scribes being largely unhappy at the lowly position they occupy in the MERS and recognizing their critical linkage in the maintenance of that MERS decide not to expose the thief but to emulate them. At least most of the scribes, uh, subscribe to that philosophy. The few remaining are either blissfully unaware or threatened into submission. Now the forgery begins apace. Each of the scribes committed to undermining the money system (SCUM) demands a share of the forgery. Indeed their demands are so great that the modest 2% theft rate is wholly insufficient. The SCUM decide to bump up their forgery rate to an obscene, but lucrative 10% each year. Awesome. But the scheme takes a coolly cynical and sinister turn. For the SCUM recognize that their new theft rate may be a bit obvious. As a group the SCUM decide to shower some their new found largesse to the benefit of a select few members of the community. The very members whose support is vitally necessary to the SCUM remaining in their positions as scribes. After all, the community may, if it so desires, change the individuals working as scribes. But by enlisting the support of key members of the community the SCUM ensure their positions and hence, their theft. What happens now is painfully obvious. The community is so large and diverse it is difficult for any one member or even a small group to understand what is happening in their midst. For while they seem to be prospering, they each have more ducats this year than last, they also seem to be trapped in an economic paradox. With each step of growing prosperity, more ducats, they seem less able to obtain the goods and services required. Indeed, it is only by committing their future service and goods that they are even able to maintain their current standard of living. It is a curious paradox indeed. At the new, higher, theft rate of 10% per year the SCUM reap vast rewards – as do their key supporters. Indeed, in just 10 short years even as the community economy grows apace at a compounded 5% annually the SCUM ravage enough of the new growth to effectively steal half of the community wealth. In just those 10 years the SCUM rise from having stolen 20% of the economy (as measured by the forged/legitimate money supply ratio) to having stolen an additional 83% of the economy. Combining both the original theft and the new theft the SCUM have stolen an amazing 95% of the community economy as measured by the forged/legitimate money supply ratio. And the people of the community are left with a conundrum. How can they continue to improve their economy with growing population and growing production of goods and services yet lose individual economic ground each year? True they each have vastly more ducats than just a few years prior but strangely those ducats just don’t purchase as many goods or services as they used to. Are the productive members really better off? Can they finally gather enough disenchantment with the SCUM to remove them from their high offices? Will they revolt against the key SCUM supporters? Or will they succumb to the temptation to join them? The article in today’s (March 10, 2010) Star News, “N.C. among states raising pension-investing risks” will sadly receive far less attention than it should. [Note: the original article is, “Public Pension Funds Are Adding Risk to Raise Returns” and was published in the NY Times on March 9, 2010.] In the same vein a subsequent article, “A richer retirement for ex-ABS boss” (March 13, 2010) adds fuel to the pension abuse fire. In fact, the NC pension system is a state level version of the federal Fannie Mae / Freddie Mac debacle. That is, Fannie Mae and Freddie Mac were deemed independent of the federal government by such luminaries as Rep. Barney Frank and Sen. Chris Dodd. That is, they were independent right up to the day that the federal taxpayer became fully liable for all their debts and fraudulent activities (see accounting frauds – Fannie Mae and Treasury, debts, Fannie Mae and Freddie Mac). The NC pension system is undoubtedly deemed independent of the state’s taxpayers. And so it will remain right up to the day that the system is broke and the state taxpayers will become obligated to cover all the pension obligations incurred by a profligate state government that is owned and operated for the benefit of the state employees not the state taxpayers. A recent article regarding a local state employee exemplifies this future debacle. The retiring Supreme Court Clerk when asked about her future plans noted that she will have to do something since she is only 48 and can’t draw her pension until she’s 50! What private sector employee gets a full pension at 50? And I mean full private sector not some quasi-governmental organization like Cape Fear PUA or the ABC folks. When state (and quasi-state) employees are able to take full pensions at age 50 and receive their benefits for 30, 40 years or more who will pay them? Given the failure of the pension board to meet its projected 7.25% return assumption for over a decade who will pay the promised benefits? It certainly won’t be the state employees. The one answer, the only answer, the answer every time is the state taxpayer will pay. Indeed, no sentient being expects the state NOT to bail out the pension plan when it fails. And clearly it will fail when the investment assumptions are based on the benefits to be paid not the returns that can conservatively be earned. This is a prime example of government not by the people, of the people, for the people but government by the government, of the government, for the government. Government looks to the taxpayer every time. Government is not longer the servant of the people, it is our master. It is a classic case of heads, the taxpayer loses and tails, government wins. Here’s how it works. The state employees pay the least possible amount that is politically acceptable into the pension plan. The pension board makes absurd assumptions about investment returns. The board then promises extravagant benefits based on those faulty assumptions. When the investment returns do not in fact occur the pension board then seeks authority for “flexibility and the tools to increase portfolio return and better manage risk.” to quote Janet Cowell, ex-state treasurer. In other words the pension board wants to speculate with the pension money in order to earn the higher returns needed in order to pay the extravagant benefits promised. And why not? If the pension boards speculative investments fail – and fail they eventually will (see Harvard, Endowment Fund, Losses) – then the pension board will simply ask the taxpayer to take over the obligations. As an example of these extravagant pension benefits, consider our local ABC administrator Billy Williams. To calculate his pension the state treasurer uses the average of his four highest paid years, plus other factors such as date of birth, estimated social security benefits, unused sick leave, the number of beneficiaries and the length of his employment. There are few, very few, if any private sector employees who can ever hope to obtain such extravagant benefits. Yet it is these very same private sector taxpayers who will ultimately be responsible for Billy Williams’ pension benefits. In short, state employees, through the state pension board and state treasurer get to speculate with their pension money so as to receive these extravagant benefits knowing full well that the state taxpayer will bail them out if the pension system fails. It is a win-win for the state employees and a lose-lose for the state taxpayers. Where should the pension board invest the money? First, they should buy all the state and local bonds. Only when all state and local bonds have been purchased should the pension system be permitted to invest in federal bonds. That’s it. By investing in the state and local bonds the pension system and by extension, the state employees will have their fates tied to that of the state taxpayer instead of to some Wall Street hedge fund.